The people of Thathe are Makwinda. Oral history has it that the people of Thathe came from Yemen. They left Yemen many centuries ago and settled in Djibouti, Ethiopia, Kenya and Tanzania. They later trekked southwards and settled in Tete (Thethe), Mozambique. This is where the name Thathe came from. They later left Tete and settled at Tshiombo in Venda. But since Tshiombo was under the Vhatavhatsindi of Fundudzi, they left and settled at Tshidzivhe which was ruled by the Vhangona of Mphanama. The rainforest, which they found at Tshidzivhe was, named Thathe, after Tete in Mozambique. Thathe rainforest is where the sources of Nzhelele, Tshirovha, Mutale and Tshinane rivers are found. The leader of the Thathe clan adopted the Tshingona practice on naming the chief after the area, and called himself Nethathe, meaning the ruler/owner of Thathe. Nethathe was a healer, diviner, herbalist and magician. His royal kraal was at Tshitangani (also known as Murulwani). It is said that, due to his magic, he was able to change himself into a white lion. He also preferred to store his herbs and charms in a cave located at Thathe rainforest. Before his death, Nethathe told his people that his remains should be placed in the cave where he stored his herbs and charms. He also ordered that all children and future generations of Thathe, whether male or female, should be buried at Thathe rainforest, while the remains of chiefs were to be placed in the cave. This meant that women who got married would not be buried by their husbands and in-laws when they died since their remains would have to be returned home and be buried at Thathe rainforest, as per Nethathe’s instructions. Up to this day the remains of married women whose surname is Nethathe, Netshidzivhe or Netshitangani are returned home for burial at Thathe. Any man who marries a Nethathe, Netshidzivhe or Netshitangani woman is made aware of the fact that he or his family cannot bury her when she dies, but has to take her remains back home for burial at Thathe. Nethathe was succeeded by Mushongamunwe. Mushongamunwe was succeeded by Fhimani. Fhimani moved the royal kraal from Murulwani to the village of Tshidzivhe. He named himself after the village of Tshidzivhe, and called himself Netshidzivhe. The rainforest of Thathe, where the people of Nethathe, Netshidzivhe and Netshitangani are laid to rest, is regarded as holy. It is believed that the forest is guarded by the spirit of Khosi Nethathe and that he appears in the form and shape of a white lion. 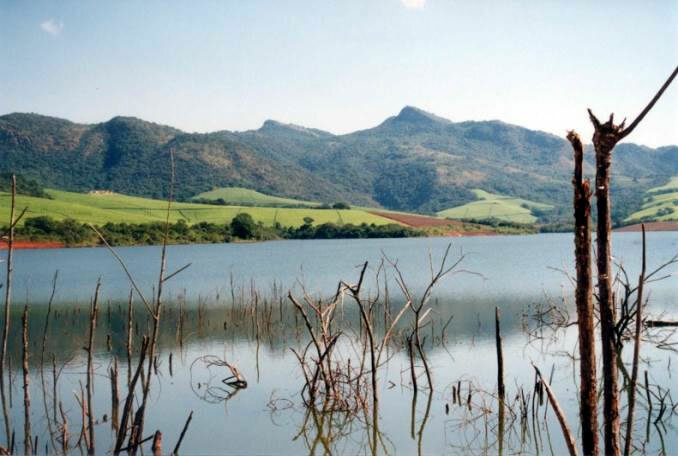 Thathe Vondo Dam and The Tshivhase Tea Estate, Thathe Village.